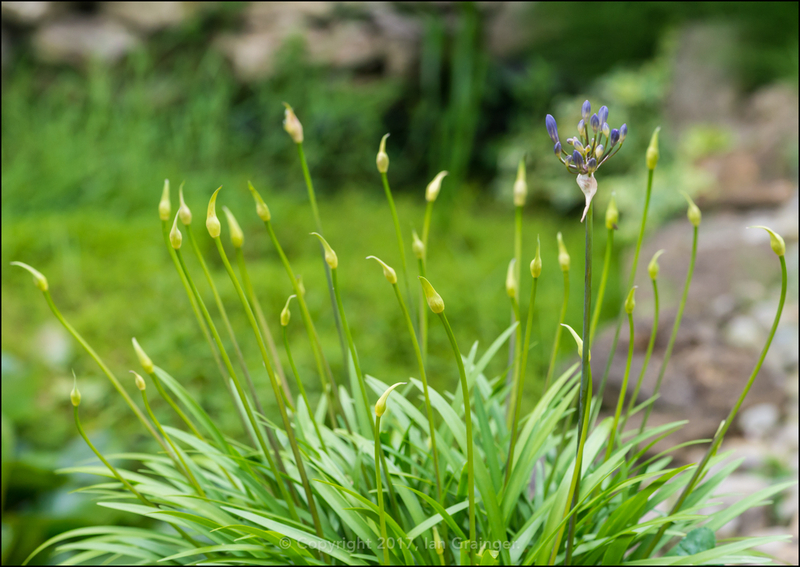 This week we kick off in dad's garden, admiring the first Oriental Lily (Lilium) to appear. 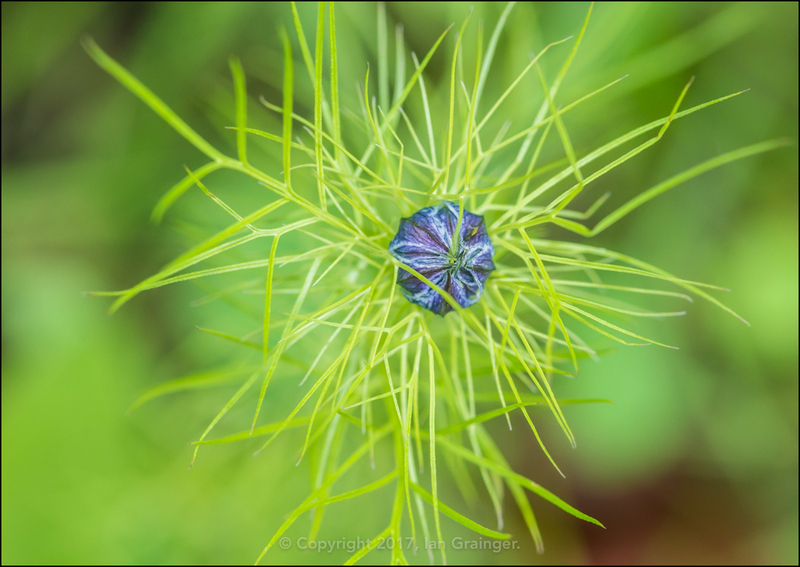 I just love the colour of this one. It reminds me of the colour of the curtains that used to come down at the theatre during intervals when I was a kid. 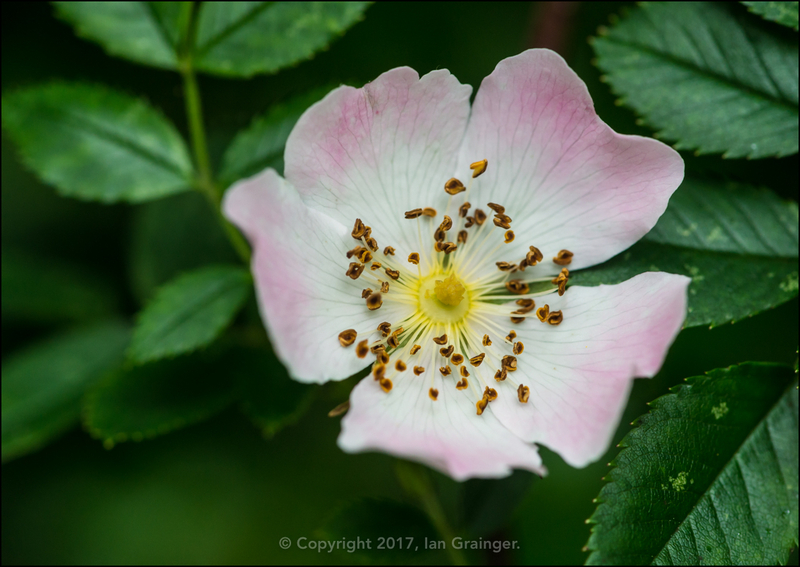 Another new flower this week was this Wild Climbing Rose (Rosa). 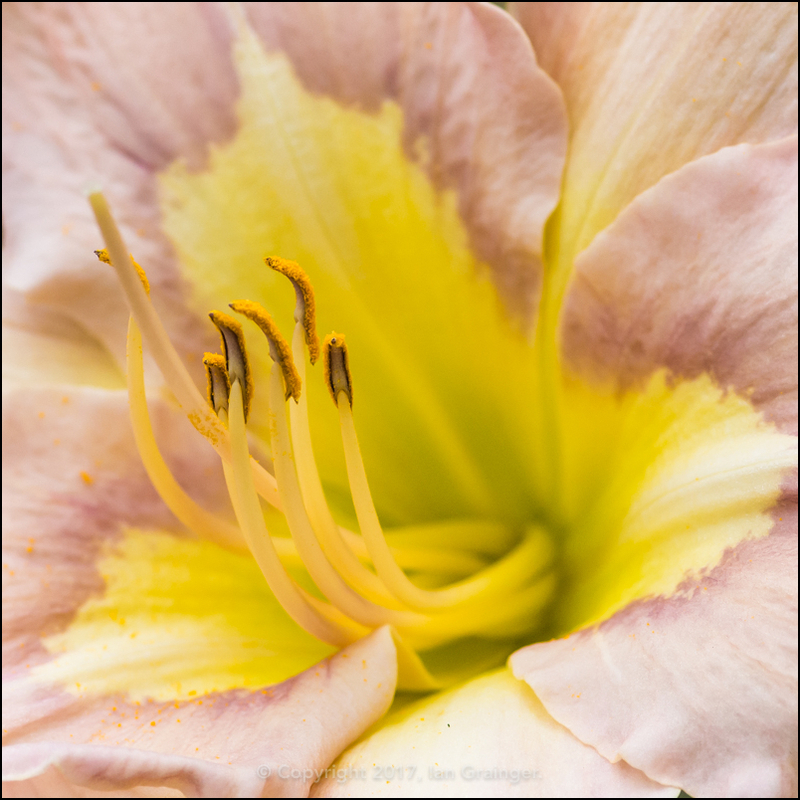 The pink tinges at the edges of the petals make this one really rather attractive. 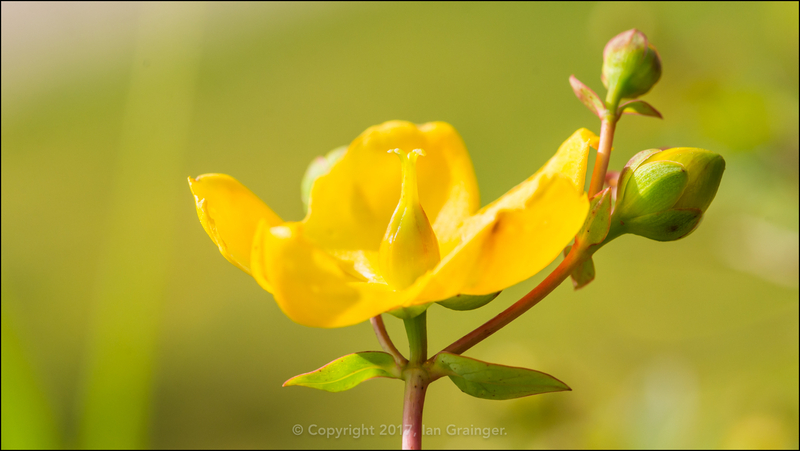 Another of dad's Hypericum bushes was starting to come into bloom, this one growing through the top of a Privet hedge. 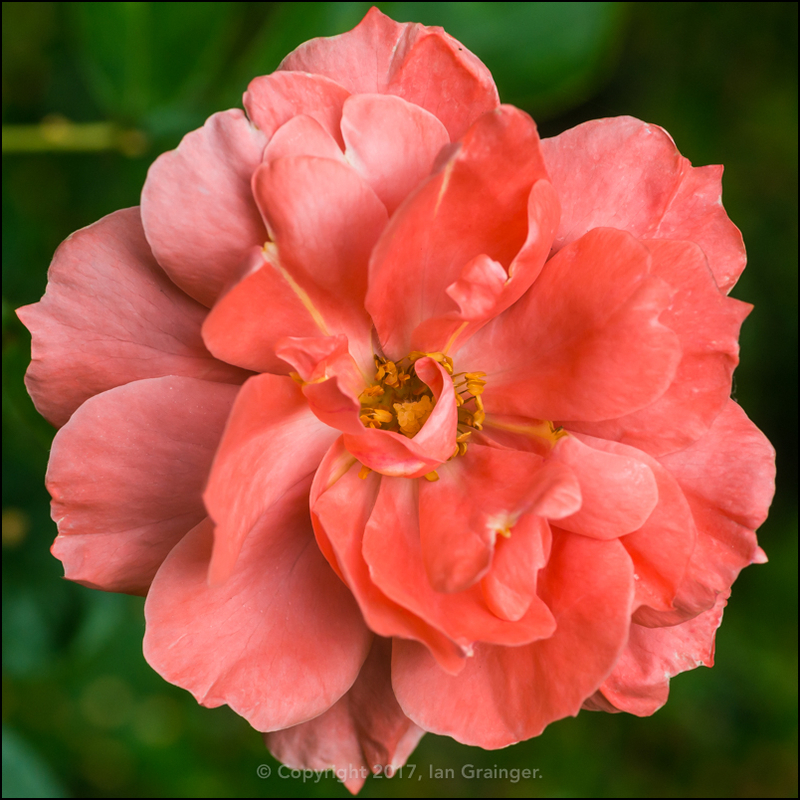 Rosa 'Queen Elizabeth' continued to look majestic in all her states of flowering, and still had many buds left to open. 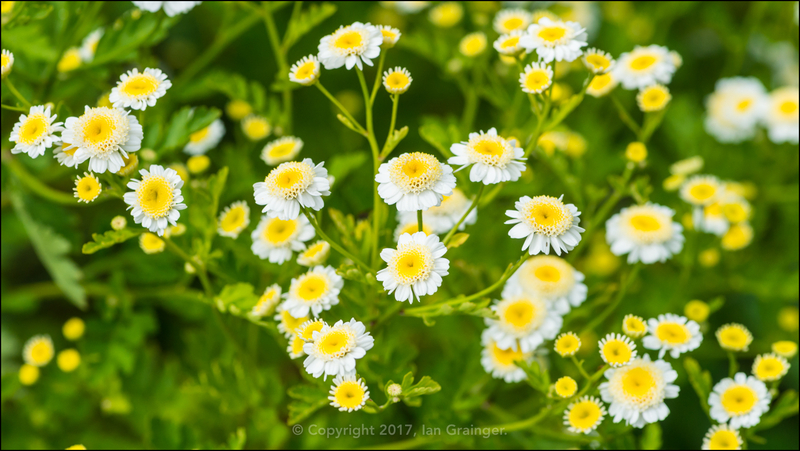 As mentioned in a previous week, the Feverfew (Tanacetum parthenium) was really thriving this year, and had more flowers than ever before. 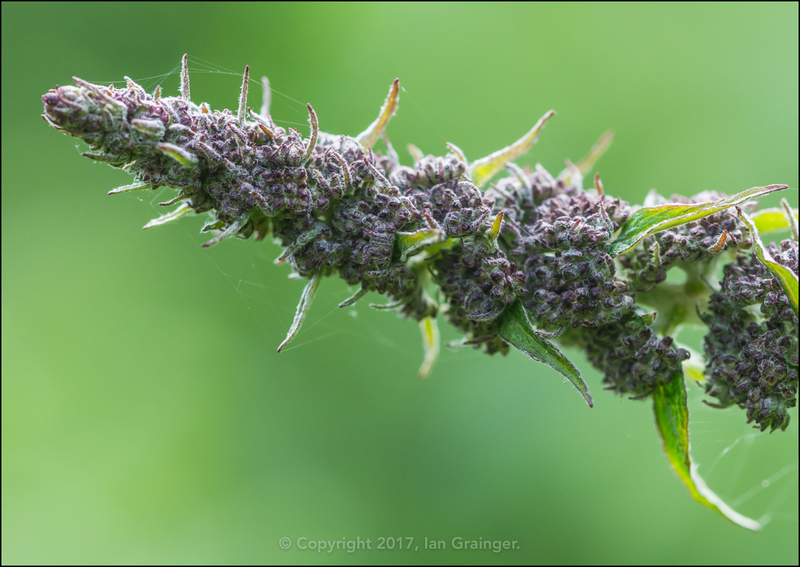 The Butterfly Bushes (Buddleia) were just one of a host of plants starting to regenerate for the summer. 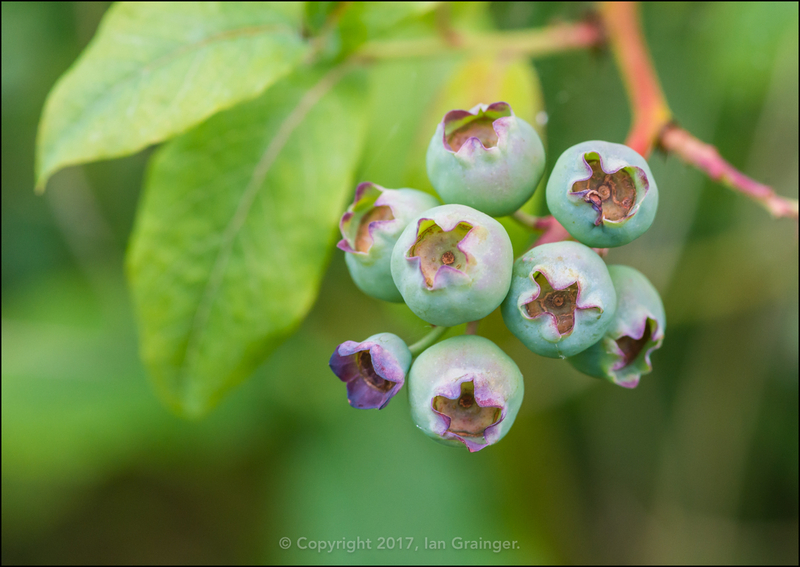 It wouldn't be long before these Blueberries (Vaccinium) would be ready to eat. 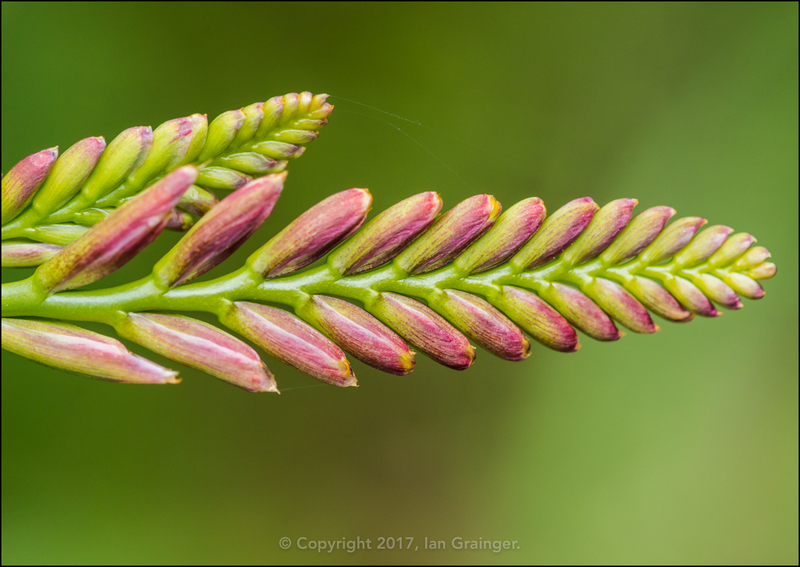 ...or this Crocosmia flower head. I've done my damnedest to try and rid dad's garden of Bramble (Rubus fruticosus) bushes over the last few months, but they just keep coming back. 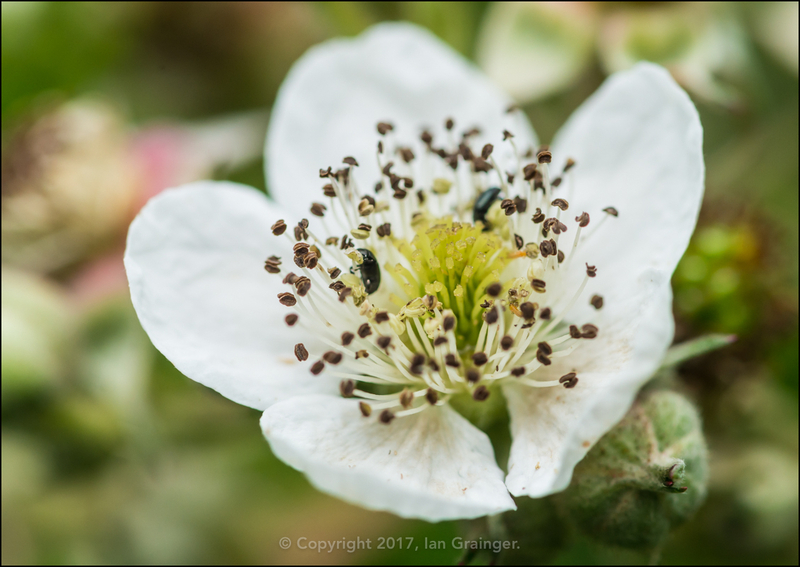 At least these small black beetles were enjoying the pollen from them, so they were serving some purpose. 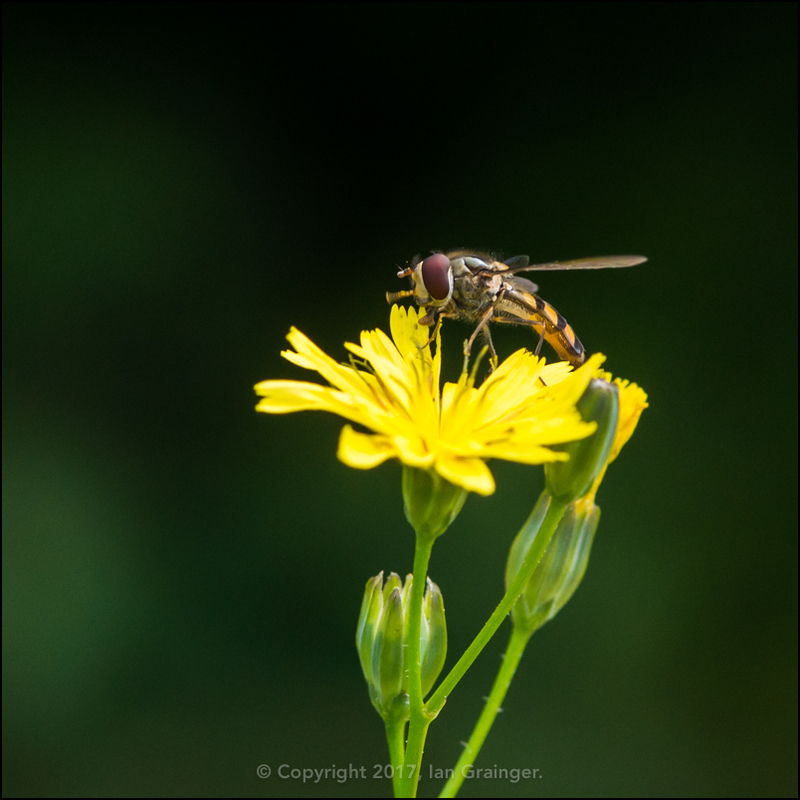 I wasn't sure what these weeds, err, wild flowers were, but the Hoverflies (Syrphidae) were really enjoying their pollen. 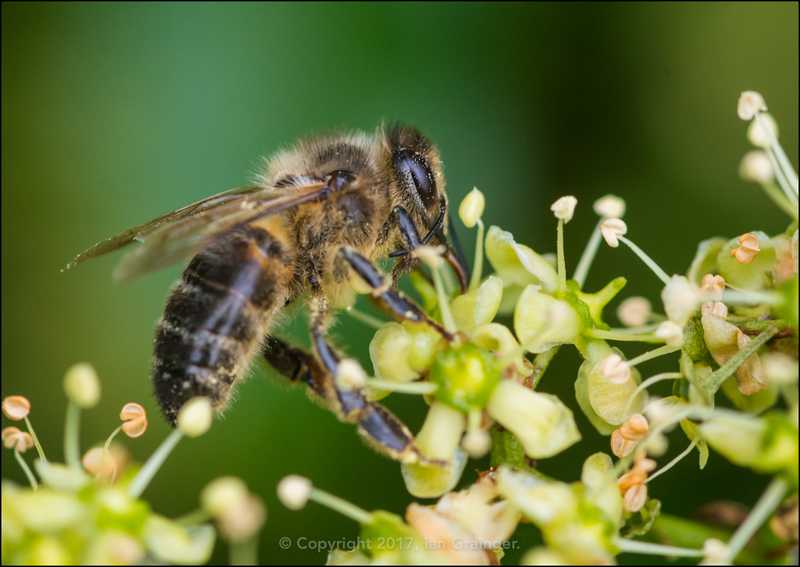 Meanwhile, the Honey Bees (Apis) were enjoying collecting from this white blossom, which I think is from a Spindle (Euonymus europaeus) bush, although I'm not one hundred percent certain about that. 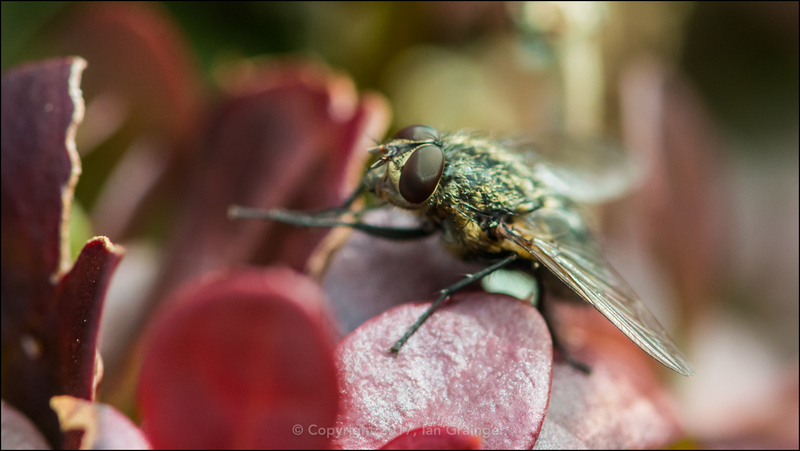 Just a Fly (Diptera) here, but I loved the way it looked like it was taking part in some dastardly plot as it rubbed its front two legs together! 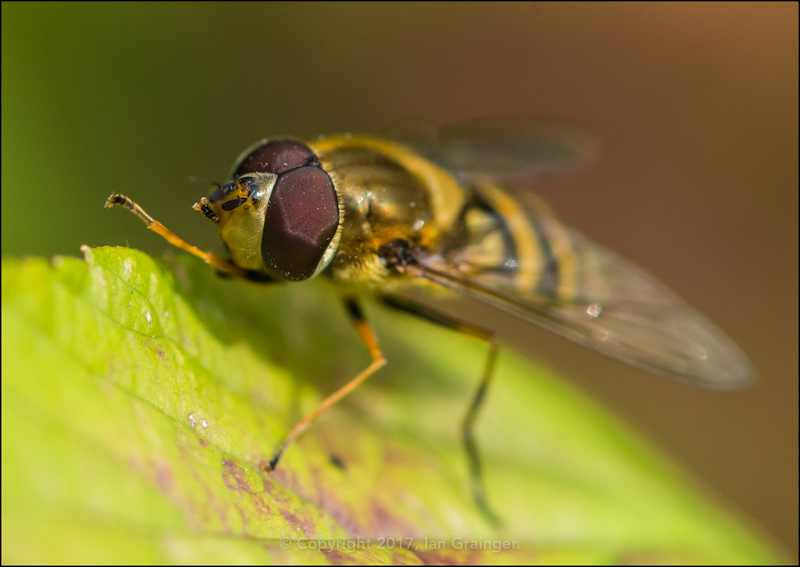 This Hoverfly was engaged in cleaning itself while perched on a sunny leaf. 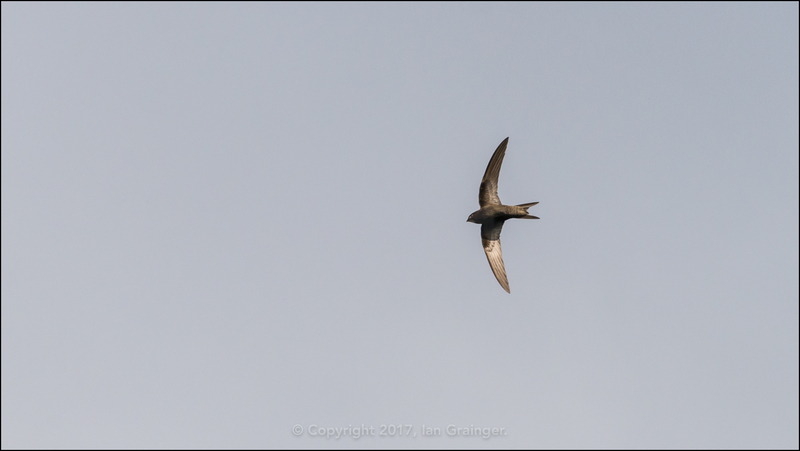 Looking upwards, I saw my first Swift (Apus apus) of the season, and it came in quite low and close, allowing me to get probably my best ever shot of one of these speed merchants. 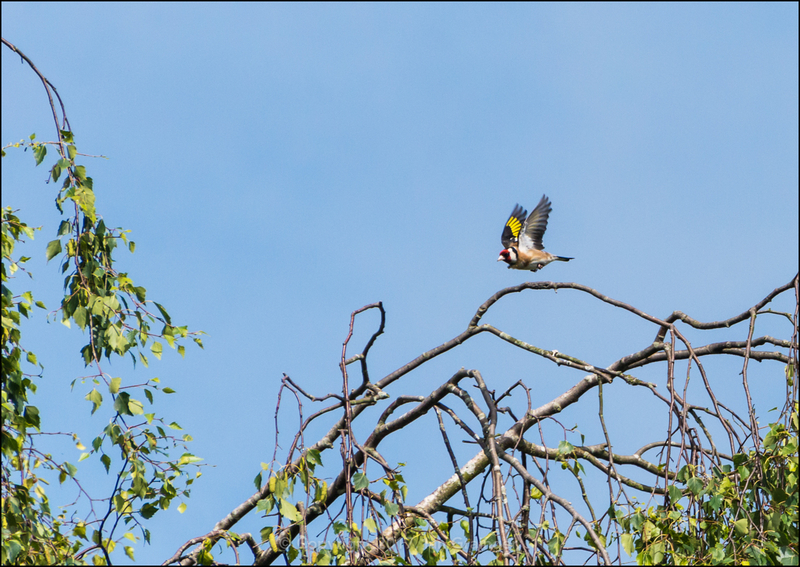 I was quite pleased to capture this Goldfinch (Carduelis carduelis) as it disembarked its perch, and launched itself into flight. 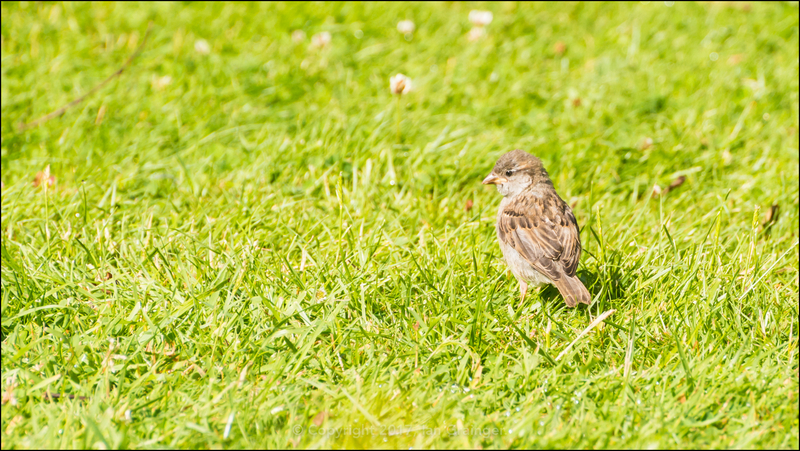 This little juvenile House Sparrow (Passer domesticus) looked a bit lost on his own in the middle of the lawn, but he was soon reunited with his group of siblings. As the name suggests, the Juneberry (Amelanchier) tree had a smattering of berries that were ready to eat. 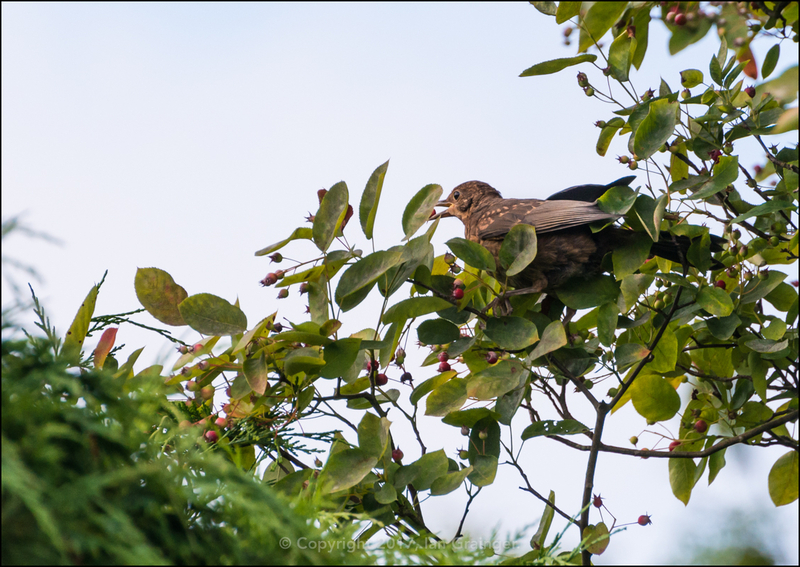 This cunning Blackbird (turdus merula) was one of only a handful of birds that had realised that the berries had started turning red, and were ready to go. I don't expect there to be any berries left by next week! 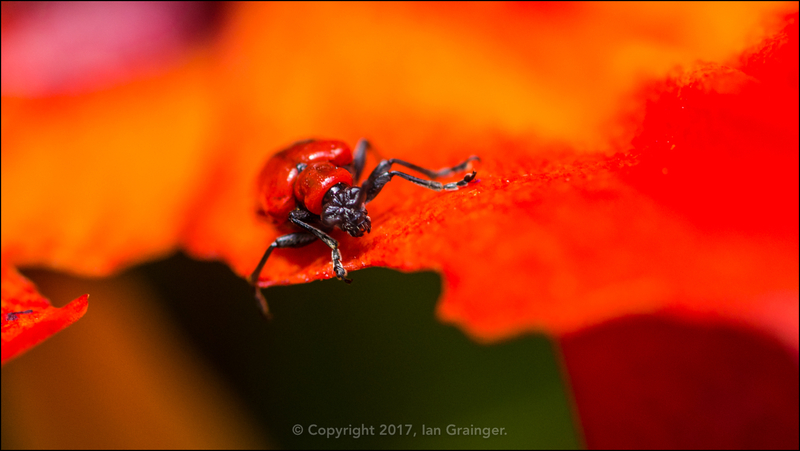 Over in my garden, my Asiatic Lily 'Vesuvius' (Lilium) had only started flowering last week, and within days the Scarlet Lily Beetles (Lilioceris lilii) had turned up and started to munch on the leaves, petals, stems, and anything else they could sink their jaws into. 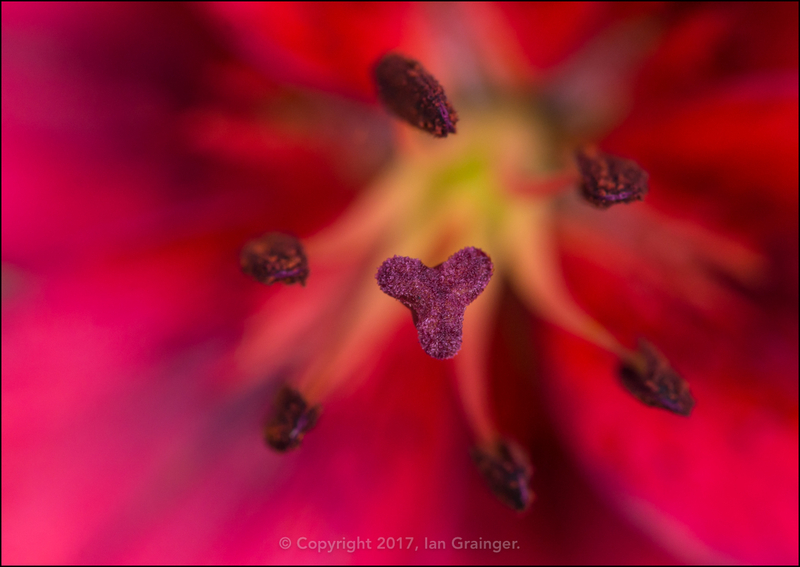 Meanwhile, my Daylilies (Hemerocallis) had begun flowering, with this variety 'Inner View' being the first one to appear. Also my oldest African Lily (Agapanthus) was looking like it was going to explode with colour. I counted over 30 separate flower spikes. 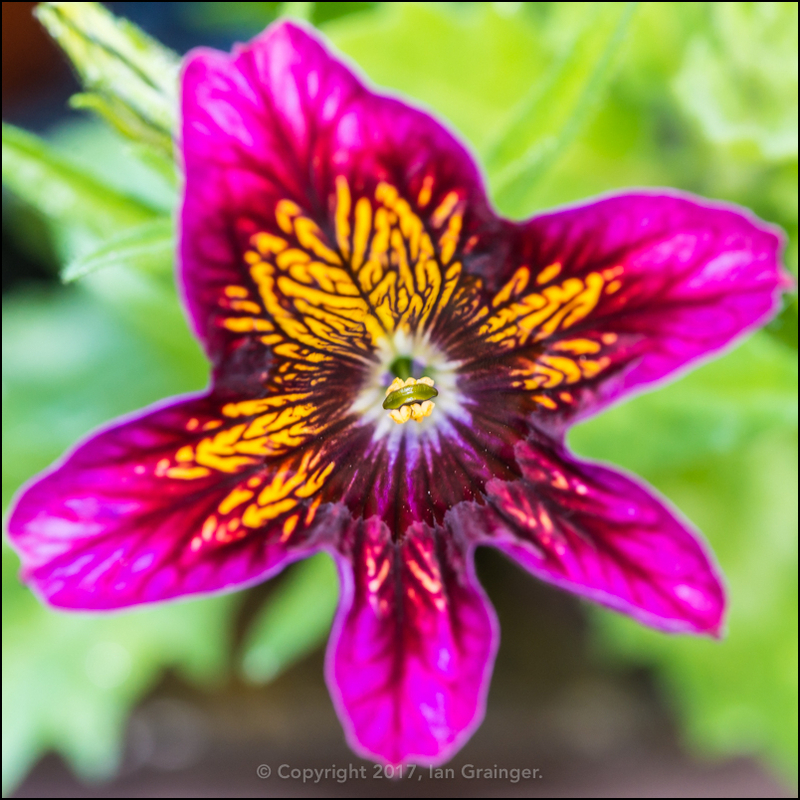 The only other new flower in my garden this week was this lovely Salpiglossis bloom. I love how the pink / magenta outer of this one contrasts with the bright yellow inner. Finally, I've been trying to do some fish photography again, and am finding it to be insanely difficult. My little fishy friends are always on the move, and are never where you point your camera. Then there are the difficulties of flash bouncing off the aquarium glass, getting enough light into the lens for a fast enough shutter speed, and simply getting a subject in focus. 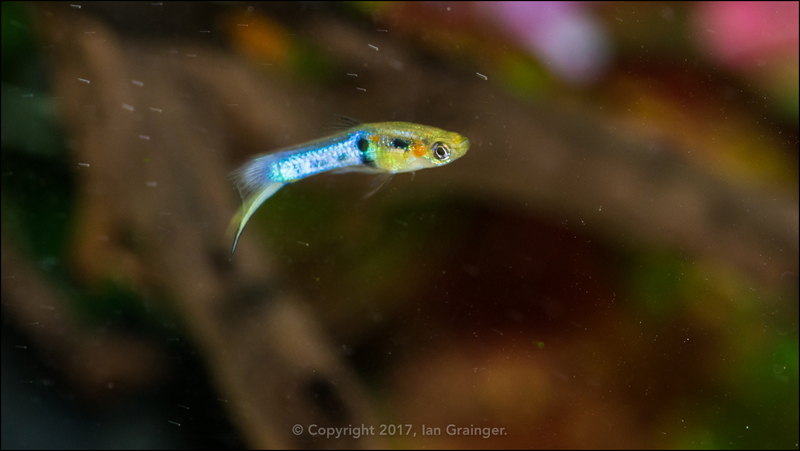 Anyway, this week I managed to grab a nice shot of my lone male Endler (Poecilia wingei), which I'm particularly pleased with, as he's only about 15mm long, and never swims still!